At The Majestic Restaurant, we take pride in offering the finest selection of hand crafted cocktails, boutique wines, hard to find beers, and premium whiskeys in Kansas City. 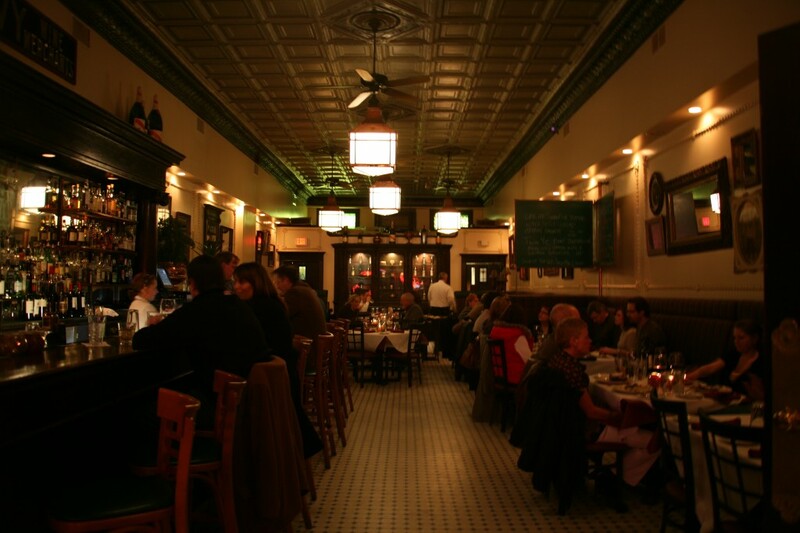 Over 100 years ago, James Fitzpatrick built a saloon in the building that now houses The Majestic Restaurant. He found success by serving an honest drink at an honest price. We carry on that tradition today by offering a wide selection of cocktails, wines, beers, and whiskeys to compliment your Kansas City steakhouse experience. We dedicate a large portion of our wine list to value priced wines under $40 a bottle, but also have an exceptional reserve list for your special occasions. We offer a selection of locally produces Boulevard Beers, but also offer beers from around the world. We carry all the major whiskey brands, but also many of the harder to find bottles from smaller distilleries. Whatever beverage you prefer, you will find it at The Majestic Restaurant. Tastes have changed a lot over the last century. This is why we offer some of the finest cocktails in town with recipes developed by Shawn Moriarty, The Majestic Restaurant’s Head Bartender. You can enjoy his classic or modern cocktails in this historic saloon. Mr. Moriarty is one of the most decorated bartenders in Kansas City. He has won numerous awards and mentored some of Kansas City’s finest bartenders. He is right at home behind our century old bar whether discussing the finer points or whiskey or the history of Kansas City. His consummate professionalism is showcased in the drinks he has created for The Majestic Restaurant. On the weekends, relax in our Jazz Club with a drink prepared by Tom Kramer. Tom is a veritable bartending legend in Kansas City. He made a name for himself as the Proprietor of Madame Lovejoy’s in The River Quay (now known as The River Market). Since then Tom has been at the forefront of Kansas City’s live music and bartending scene. He is quick with a joke and loves to entertain his guests with stories of the great Kansas City jazz musicians he has worked with over the years. Sitting in this prohibition era speakeasy with a bartender who is a true Kansas City legend is a great way to spend an evening listening to the best of Kansas City jazz. The Majestic Restaurant is a truly unique Kansas City steakhouse experience. This is only enhanced by our selection of beverages and the professionals who serve them. Take a moment to peruse our selections for yourself and you will know why we are so proud of our offerings. We think James Fitzpatrick would be proud of what his saloon has become. wines for a night out. Visit our current cocktail menu featuring Shawn Moriarty’s newest creations. 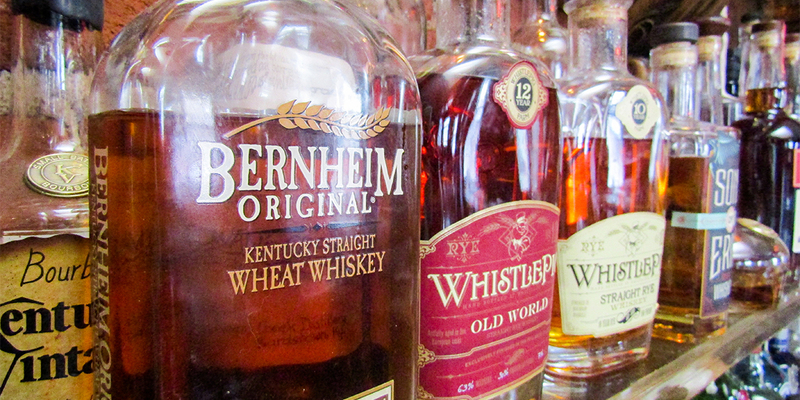 Peruse our liquor menu and choose from one of Kansas City’s finest collections of whiskey. Here at The Majestic Restaurant, we are convinced that we have compiled one of the finest beverage lists in town to enhance your dining experience. Join us for dinner and find out why so many of our loyal guests choose The Majestic Restaurant as their Kansas City steakhouse.